The 2019 call for papers has just come out from NAASR — the North American Association for the Study of Religion — asking for respondents to invited papers that will each address one of four aspects of the field in which we do our work (a format the meetings have used for the past 5 years); the association also announced its upcoming workshops for grad students, all of which will take place at its November annual meeting in San Diego. As someone who has been involved with NAASR my entire professional life, either as a member, a co-editor of its journal, or, on a couple past occasions, playing a role on its executive — in fact, my first time attending the combined American Academy of Religion/Society of Biblical Literature meeting, in San Francisco back in 1992, was also my first time attending a NAASR meeting — I admit that I’m quite proud of the work carried out by the organization and its members. So I find it pretty frustrating when stories get back to me — as they have on many occasions, long ago and very recently — about someone asking a person attending a NAASR session what it’s like. We’re extremely pleased to announce that Keeley McMurray, who will be starting our M.A. this Fall, has been awarded a National Alumni Association Graduate Fellowship by the University of Alabama. Keeley will graduate from the University of Alabama in May 2018 with a Bachelor of Arts in Religious Studies and English. 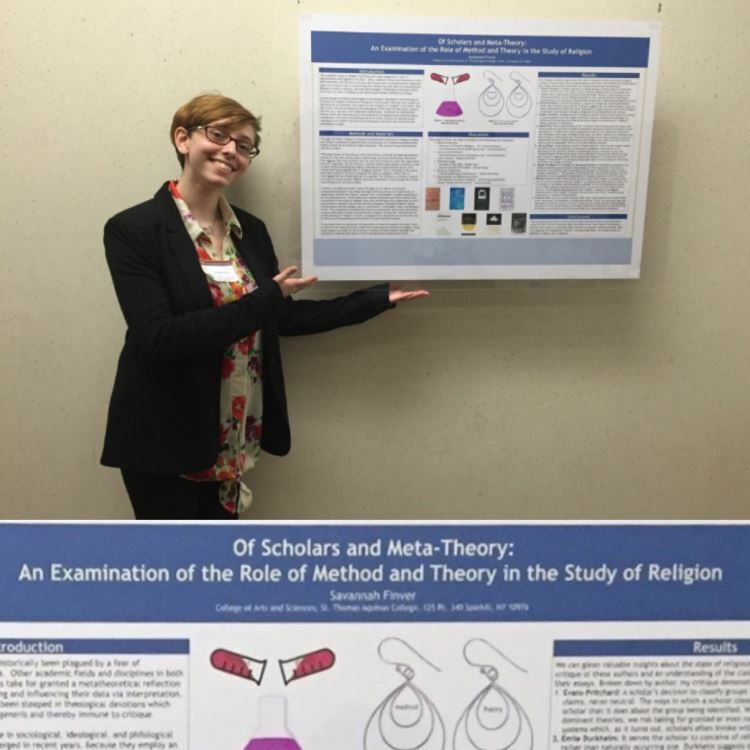 Though her curiosities in the study of religion are broad and still growing, she is currently studying the rhetorical utility of the idea of “sincerely held beliefs” in contemporary American politics and law; she aims for this project to expand into a study of “conscience” in the history of tolerance and secularization. She will be working with Prof. Altman as her supervisor. The highly competitive fellowship that Keeley has been awarded, for which she was nominated by the department, is open to in-state students from across all disciplines on campus; it is given to approximately 30 students annually and the funds for these awards are generated through the state of Alabama’s customized UA license tag — learn more here. We’re pleased to announce that Savannah Finver, who will begin our M.A. in the Fall, has been awarded a Graduate Council Fellowship, by the School of Graduate Studies, for the 2018-19 academic year. This award, which was also given to current M.A. student Sarah Griswold for 2017-18, is an outright scholarship and entails no teaching assistant duties. Savannah graduated from St. Thomas Aquinas College in 2016 with a Bachelor of Arts in English and Philosophy/Religious Studies. Her interests are focused around the rhetorical strategies employed by groups which identify both as ‘religious’ and ‘nonreligious’ and their influence on the American political sphere. While at UA she’ll be working with Prof. Touna as her supervisor. 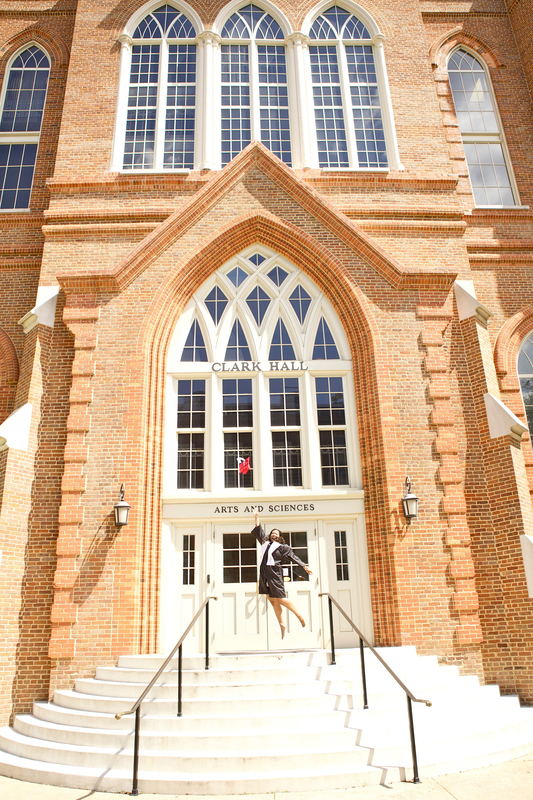 The Graduate Council Fellowship, for which students must be nominated by their home department, is UA’s most prestigious award for graduate students. Approximately 100 GCFs are given each year, mainly to incoming Masters or Doctoral students. Wondering what our MA students study…? Yes, REL has an MA Program now — our students recently created a curated, online project, for one of their classes, to test out how to use a new software. Want to know what else they’re doing? Heard of Our M.A.? from UA Religious Studies. Khortlan Patterson graduated from the University of Alabama in May 2016 with degrees in African American Studies and Religious Studies. As a student at Alabama, Khortlan was instrumental in desegregating the UA PanHellenic sororities and establishing the Intercultural Diversity Center. She is currently working on a book to encourage others to act as agents of social change and will pursue a Master’s in Theological Studies from Vanderbilt Divinity School next January. You made it to your senior year in college! I know you picked up a few pounds over the years, but don’t worry; that weight will fall off in a few months time. I am writing you from the future to give you some general advice that might prove helpful to you in your search for that “What’s Next” step. Spoiler alert: You withdraw from Princeton Theological Seminary and transfer to Vanderbilt Divinity School. Over the summer, you will experience a loss in the family. Do not underestimate the time you will need to grieve your loss and rush into a program that you are not capable of devoting your time and energy to. Seriously consider taking some time between undergraduate and graduate school. Honestly, the time will help you to refocus your energy and strengthen your interests. I promise you won’t be perceived any less smart or capable for marching to the beat of your own drum. Plus, working an interim job can help you save up money and offer practical experiences. I know two factors strongly influenced you choice to attend PTS: the scholarship they offered you and the look on your parents faces when you announced your acceptance. Stop comparing your unique path to those of your peers! Look past the prestige of the institution and thoroughly investigate the program you wish to pursue, the classes offered, and the professors who will be on campus during your studies. You also want to make sure that the school has ample opportunities for you to get out of your books and into the communities you wish to serve. Also, pay close attention to each institution’s mission and pedagogy to ensure they align with your personal and professional goals. Choose an institution that will support and encourage you as a woman of color. It’s ok to change your degree program in grad school or tack on another in order to receive dual degrees. Make sure that the institution that you choose has ample opportunities for you to change your focus or approach it in your own unique way. Since you have interests in so many topics and are fond of finding links between differing topics, I strongly suggest that you find a program that allows you the flexibility of non-traditional scholarship. While navigating through online virtual tours of institutional campuses is pretty cheap and convenient, you should really try and schedule a visit in person. Not visiting was probably one of the biggest things I regret in applying to grad schools. I thought since I would only be there for a Masters degree and not a Ph.D. I did not really need to visit: Wrong! You should plan a visit to talk with current students and students of color, schedule meetings with faculty and staff, get a feel of the campus culture and environment, and see what the surrounding area is like. Above all, remember to enjoy yourself and listen to your heart. You’re the one who must live with your decisions. Learn. Love. Inspire. 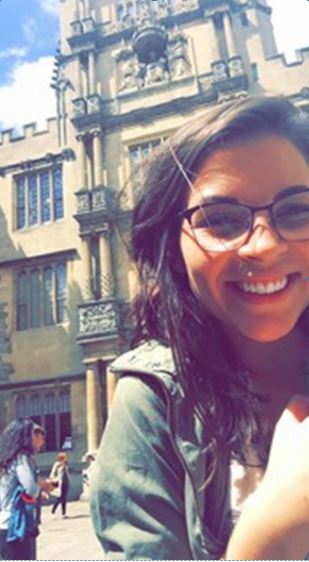 Lexi Poston graduated from UA in 2015 with a triple major in International Studies, Religious Studies, and Criminal Justice and a triple minor in Italian, Judaic Studies, and the Blount Minor. She is currently a graduate student in UA’s Criminal Justice Department where her research interests include prejudice, hate groups, hate crimes, human trafficking, genocide, and how perpetrators of such crimes are prosecuted. At one point during undergrad, religious studies majors have probably been asked this infamous question by an inquiring relative: I know I was. My family could never really understand how religious studies would correlate with my other degrees in international studies and criminal justice. Compounding this problem, I was also minoring in Judaic Studies which included several classes on prejudice, interfaith relations, and genocide (which sparked my current research interests). 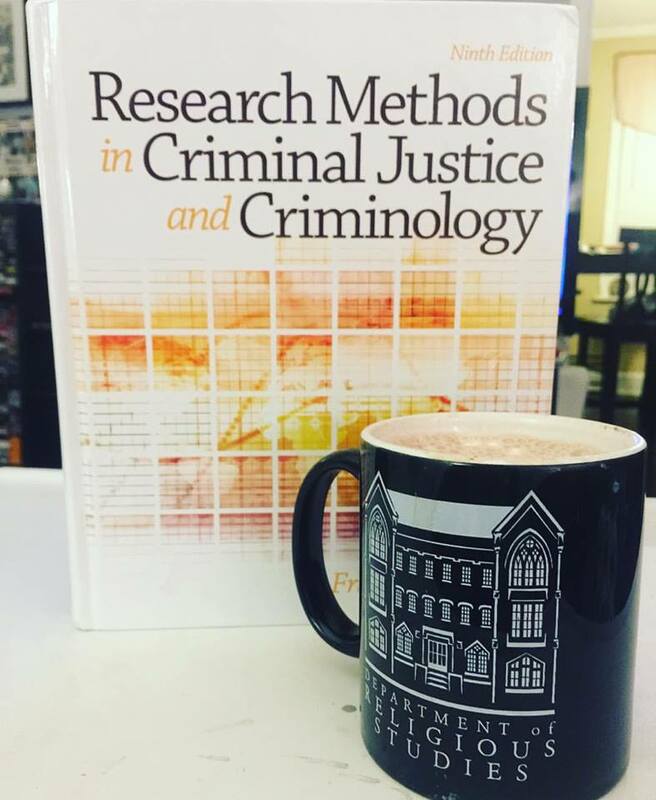 While it may not have seemed relevant to outsiders as an undergraduate, there are many skills that I acquired during my time in the Department of Religious Studies that I now use in my Criminal Justice graduate program. The abilities you gain from a humanities degree are therefore invaluable despite the fact that they are often overlooked by relatives expecting young college graduates to focus on “practical” job competencies. Critical thinking is defined as the objective analysis and evaluation of an issue in order to form a judgment, a skill that many lack. In Criminal Justice, students now have to take the information they have learned during and after our Introduction to Criminal Justice class to further our knowledge; we then evaluate and apply it to real world situations in order to provide swift and fair justice. It is not uncommon for emotions to run high in the criminal justice system, particularly with shocking and emotionally trying cases. Many become so wrapped up in the case they form biased opinions regarding a crime, making it difficult to approach it from the objective angle required of us, as unbiased opinions are something that criminologists and other persons involved in the criminal justice system just cannot do without. We have to look at the broader picture and the nitty gritty details and try and find just how they fit together, much like a puzzle. In this way, the critical thinking skills gained in programs like religious studies are crucial in effectively doing our jobs. I have been told that I have a gift with writing and I’ve earned many writing awards between elementary school and high school. I also feel confident enough in my writing because of the writing skills that I had from my high school’s International Baccalaureate program. However, as a college student, I learned pretty quickly that there were many areas of writing that I still needed to improve. I was surprised to discover that writing involves more than regurgitating information found in sources. Religious Studies (partnered with Alabama’s Blount Program) taught me how to critically evaluate sources, formulate an argument, and then make that argument through analysis. The ability to form a coherent and logical argument in my writing is something that I have used quite often with criminal justice, something I’ve seen my peers struggle with greatly. In fact, many have decided to not write a thesis because they believe that it will be some daunting task; however, the prospect of a thesis does not trouble me, no matter how close it is looming. With the end of my first semester of graduate school, I have only thing to say: Thanks Religious Studies!